TORONTO -- Arzu Ozkose is caught in a dilemma she says no mother should have to face. 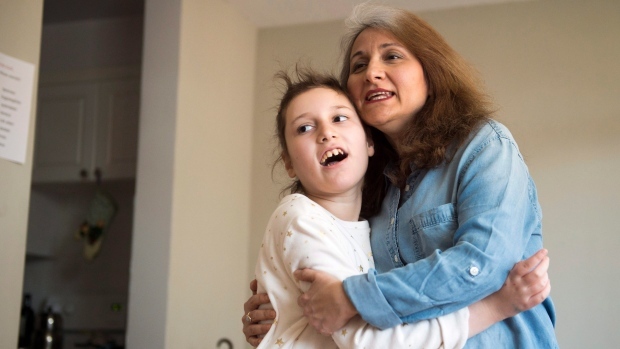 Her 10-year-old daughter, Alara, suffered debilitating seizures caused by Dravet syndrome, but has improved dramatically while taking a cannabis oil being tested as part of a clinical trial at Toronto's Hospital for Sick Children. Yet once the study ends in a couple of months, Ozkose has been told she will have to pay for the drug, which costs about $1,800 a month -- an amount the single mother said she can't afford. "I don't even want to think to drop this medication, which saved my daughter's life," said Ozkose, calling the cannabis oil a "miracle" because Alara went from having about 100 seizures a day to none after starting the drug. "Who can want that as a parent?" The drug maker has said it will offer a discount based on financial need for children who responded well to the medication, but Ozkose's predicament highlights a much broader issue: do pharmaceutical companies have an ethical obligation to keep supplying experimental medications to patients who take part in clinical trials to test their products as part of the process of bringing them to market? The cannabis oil provided for the clinical trial by Tilray contains a high amount of cannabidiol, or CBD, which studies have shown can reduce seizures in some children with treatment-resistant epilepsy, and a far lower concentration of "high-producing" THC (tetrahydrocannabinol). "Mostly she couldn't walk on the street," said Ozkose, who came to Canada from Turkey with her daughter about two years ago. "I can't describe it. It's like you're losing your child in all the moments. All the moments you have that fear in your life." But Ozkose, a mining engineer in Turkey who now works as a yoga teacher and life coach in Toronto, said she doesn't earn enough to pay for the cannabis oil once the trial ends in June. "Her seizures will start again and maybe she won't be able to go to school again because she falls down and she may hit her head or die." She's thankful her daughter was enrolled in the trial, but said it's unfair that Alara and her fellow patients may be cast adrift once it's completed. "I feel that they use us and then they finish and they just throw us away." However, Tilray's director of clinical research said the B.C.-based company has made a commitment to ensure that patients who have responded will have access to the drug after the trial. "We are putting in place a compassionate pricing program for children with Dravet syndrome and we'll offer discounts of up to 60 per cent, based on financial need," said Catherine Jacobson. "And we as a company will ensure first of all that no child that was in the trial will not be able to continue getting the medication when the follow-up period ends," she said. "So we can assure parents that these kids won't just stop receiving their medicine." Some families may get a larger discount, should they be in dire financial need, said Jacobson, who has a son with another form of severe epilepsy and knows well what parents go through trying to find medications that work to control their child's seizures. About 30 per cent of patients with severe epilepsy are unable to get their seizures under control. "And I think companies in general bear an ethical responsibility to make sure that those families (who participate in clinical trials) still have access to study drugs," said Jacobson, adding that Tilray is advocating with insurance companies to cover medical cannabis products "at least for this vulnerable patient population." "Any time a patient participates in a trial, they're volunteering their body to advance science," he said from Montreal. "And if it's a trial being run by a pharmaceutical company, they're volunteering their bodies to advance the goals of the pharmaceutical company, whether that's a big pharmaceutical company or a small one. "And they are entitled to some kinds of protection and respect, and they're also entitled to some degree of reciprocity." 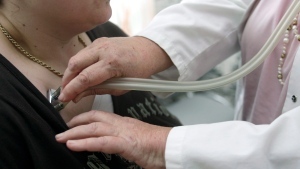 A spokesperson for Innovative Medicines Canada, which represents brand-name pharmaceutical producers, could not comment on the issue, saying "it is up to the purview of each company whether or not to provide medicines to trial participants at a discounted price or for free, and under what conditions, after a clinical trial." Kimmelman said that under a policy on ethical conduct by Canada's three major public research investment bodies -- including the Canadian Institutes of Health Research -- scientists who receive funding are directed to make "reasonable efforts" to continue access to a drug post-trial for patients who appeared to have benefited from the treatment. An international policy initiated by the World Health Organization also sets out ethical guidelines for researchers, saying that if discontinuing an intervention would deprive a patient of basic capabilities or reduce quality of life attained during a study, "then the obligation will be greater than if an intervention provides relief for a minor or transient condition." Kimmelman said when a person volunteers for a research study, they should benefit in some way from the knowledge that's been gained. "It's true pharmaceutical companies are there to develop a product and make revenue, but that doesn't in any way excuse them from upholding ethical standards when patients volunteer their bodies to participate in clinical trials," he said.